2 Bedroom Flat For Sale in Crewe for £120,000. Viewing is essential to appreciate the space this first floor apartment offers. It is set in a block of only three other apartments, it has its own front door at ground level and is positioned over a single garage that has a fantastic size storage cupboard. The accommodation comprises of a good size lounge through dining room, modern fitted kitchen, two bedrooms the master with en-suite and a further bathroom. 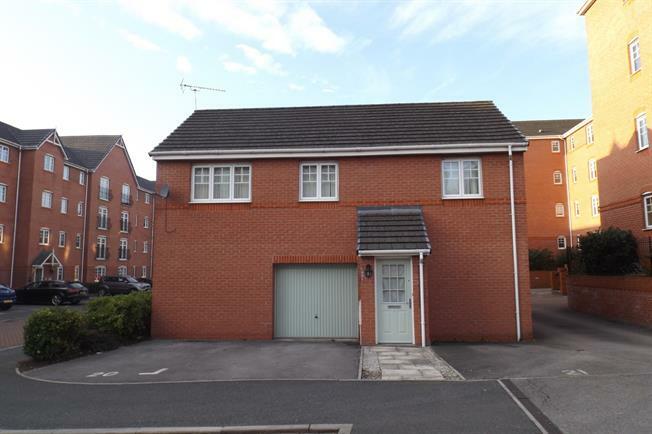 The property benefits from gas fired central heating, double glazing and allocated parking space.